You’d never settle for the first guy you met. So why would you settle for the first engagement or wedding ring you see? After all, you and those rings are going to have a long, sparkly future together. Shouldn’t you wear a ring that screams your name? One that reflects your great taste and style? 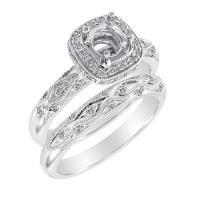 Whether you’re scoping out engagement rings (you know, so you can start dropping hints) or you’re looking for special wedding bands for you and your fiancé, we recommend a visit to Select Jewelers. For more than a decade, this hometown favorite has been making Houston brides’ dreams come true. By bringing in diamonds and jewels from around the world, Select Jewelers offers Houston brides with some of the sparkliest and—dare we say—prettiest wedding and engagement rings around. 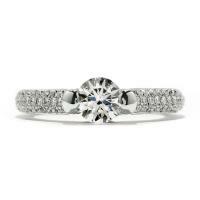 More than a few of those are from the Hearts on Fire line, which sets the bar for perfection in diamond cuts. And if you need a necklace, bracelet, or earrings to wear with that gorgeous wedding dress of yours, this family-owned store offers plenty of irresistible options. It’s not just the ladies who get lucky here, though. 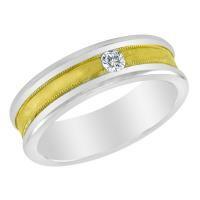 Select Jewelers also sells a variety of men’s diamond wedding bands. You know, in case your guy gets jealous that you get to wear all those pretty diamonds. Of course, there are more gems here than meet the eye: From the moment you walk into Select Jewelers, you’ll receive personal attention and all the help you need to pick out or design that stunning ring your want. 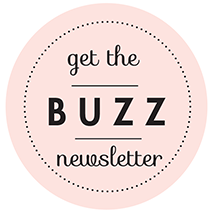 Even better: Select Jewelers offers some seriously fabulous deals, so you (or your honey) can save a little dough. If that’s not a rare gem, we don’t know what is! Trying to figure out how to thank your bridesmaids for all their love and support (not to mention for sweetly enduring your endless indecision about whither French-pleat or goblet-fan napkin folds, and graciously agreeing to wear sea-foam and spaghetti straps despite pale skin and ample arms, etc., etc.…)? We’ve compiled some of our favorite ideas for you, and put ’em in this post! 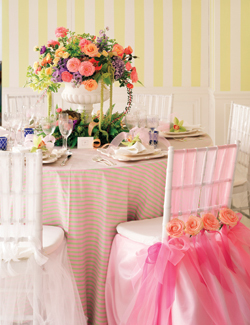 Jean Picard, regular Weddings in Houston contributor and Master Bridal Consultant (that means the international Association of Bridal Consultants has designated her one of the very best in the biz), is a big fan of the pre-wedding bridesmaids tea. Check out her planning and décor tips, menu suggestions and expert tea-making tutorial right here. We discovered Vivabox at a very cool gift show and just had to spread the word. Our past post on this lovely little gift concept gives all the details on how to choose a Vivabox for each bridesmaid (they’ve got manly ones for your groom’s dudes, too), how they work and where to buy. Doing the destination thing? Have a look at these sweet silk cosmetics, brush and jewelry bags from Neiman Marcus. We love the vibrant colors and personalized-initial option, and your maids will love packing these for wedding-destination travel! Whether you plan to wed in town or afar, these super-chic clutches are a perfect complement to any bridesmaid outfit (just check out the range of colors and patterns—amazing! ), and a great gift from you to your gals. Of course, every bridesmaid appreciates a little pre-wedding pampering. And what better way to relax and indulge with your maids than with a group spa outing? Treat your bridesmaids to a day of massage, mani-pedis and divine face/body treatments at one of Houston’s top spas, and you’ll come out smelling like a rose! A little Greek goddess, a little Midsummer Night’s Dream, a dash of vintage elegance, a smidge of Cinderella and a LOT of detail, detail, detail. 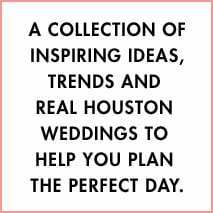 That’s the word on this season’s new crop of wedding frocks, Houston bride. Whether you decide on a flouncy ballgown or an ethereal empire-waist column—both are big for 2010 weddings—the season’s best wedding dresses offer a bounty of truly extraordinary accents from handmade fabric flowers (Augusta Jones) to bodacious bows (Vera Wang) to zillions of organza pleats (Oscar de la Renta) to oceans of tulle (Jim Hjelm). And more. These dresses are a lot of things…but slick and sleek they’re not. Neither is the new look in wedding-day hair. This year’s Golden Globes gals had the right idea about updos. Check out these sensational styles—formal and refined, but with a natural touch. Perfection. Oh, Carrie, we’d love your hair even if you yanked it back and tied it with a sweat sock. Fortunately, you’ve got way more style than that. 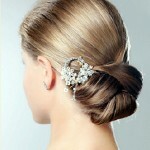 And this half-updo with side-combed straight bangs and rivers of soft curls is one we want to steal for our big day! Feast your eyes on this fabulous down-low updo with bangs. So graceful, so pretty, so perfect for showing off our lovely shoulders in our strapless ballgown… Gorgeous! Here’s another nape-level updo we love. Soft, pretty and special-occasion fancy when accented with seed-pearl, Swarovski crystal or other sparkly hair jewelry or accessories. 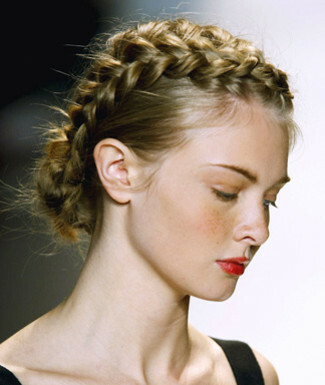 As for braid styles, we can’t get enough of them. There’s an obvious wow-factor to these complicated-looking creations, but also an earthy, sensual sweetness that is a perfect complement to the season’s dreamy, fairytale gowns. Like these looks? Got a lead on more examples? Let your sister brides-to-be know. Post your comments here! Here’s the scoop: Whiteflash is giving away two gorgeous diamond pendants, both created with “A Cut Above” conflict-free diamonds. These brilliant diamonds are cut so precisely that their facet reflections overlap, creating distinct heart-and-arrow patterns when seen through a special viewer. One lucky entrant will win the stunning “One Heart for Two” platinum-diamond pendant (worth $1,100! ), and another will score the dazzling “Essence II” diamond pendant (worth $395!). Check out this video for more details…and don’t forget to email a link to your fiancé! With Valentine’s Day coming up, we totally understand if you’ve got just one dessert on your mind right now, Houston bride—all that chocolate you’ll be eating on February 14, of course! But we don’t blame you if you’re fantasizing about gorgeous towering cakes and debating fondant and buttercream. After all, what Houston bride (or wedding guest, for that matter) doesn’t love a great wedding cake? We have, however, met quite a few Houston brides—and wedding guests—who can’t get enough of the wedding cakes and other goodies at Three Brothers Bakery. Tell Three Brothers all about your fiancé’s most serious obsessions—oil, Houston Rockets basketball, Vegas—and they’ll create a groom’s cake so over-the-top that you might not want to eat it. But you should! Every cake at Three Brothers is made-from-scratch and, oh, are they tasty! And if you or your guests keep kosher or need a dairy cake, this is the place to go. The cakes aren’t the only reason we love Three Brothers, though. We also love this hometown bakery’s charitable ways. After Hurricane Katrina, Three Brothers’ owner Janice Jucker worked to get telecommunications equipment donated so that evacuees could track down their friends and family. And Jucker—herself a breast cancer survivor—is a big supporter of the Susan G Komen Foundation’s Houston affiliate. The bakery even sells pink ribbon cakes, cupcakes, and cookies. So when Jucker—who runs the bakery with her husband Robert and his Aunt Estelle—was named Woman Business Owner of the Year by the National Association of Women Business Owners in October, we weren’t the slightest bit surprised. But we were very happy to see someone who’s helped give so much to Houston brides get a little something in return. You go, girl!